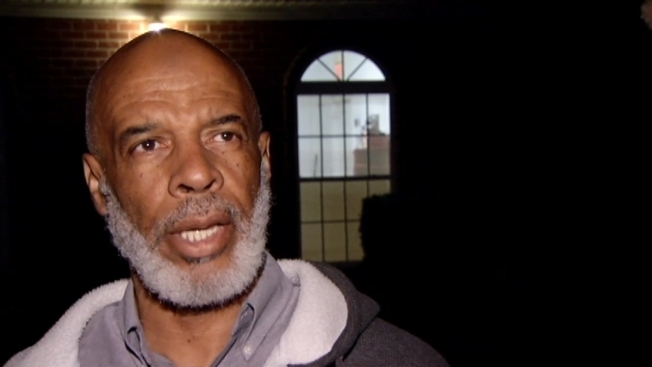 Members of a mosque in Fredericksburg, Virginia are facing anti-Muslim comments as they plan to build a larger Islamic center less than 2 miles from their current location. Islamic Center of Fredericksburg is seeking to build an 8,000-square-foot mosque because members say their current space is too small. A community meeting Tuesday night on the project erupted into shouting matches, with one man declaring, "Every Muslim is a terrorist," The Free Lance-Star reported. Islamic Center trustee Samer Shalaby told an overflow crowd at the Chancellor Community Center, which has a capacity of 171, that the Islamic Center has been in the Fredericksburg area for almost three decades, the paper reported. The discussion became so heated a sheriff's deputy called it off and sent everyone home. Abdul-Hakim Johnson, of the mosque, said he felt his faith was under attack. "It makes me quite sad," he said. "People just spewing these bad words about 'all Muslims are terrorists. You need to go back home.' I have as much of a right here as anyone." Members of the mosque would like to relocate from Harrison Road off Plank Road to a site on a corner of Old Plank Road and Andora Drive. An abandoned house would be demolished to make way for the Islamic center. Fredericksburg resident Robbie Rehberg said he was uncomfortable with the mosque's plan. "With all that's going on, the unsettling around the world, it's very, very concerning to us in the neighborhood," he said. Resident Delia Garnett objected to the plan over concerns it would worsen congestion. "I actually don't like it because right now there's a lot of traffic problems," she said. Board of Supervisors member Timothy McLaughlin, whose district includes the proposed mosque site, said traffic is a concern and he welcomes community involvement. A date for a new public hearing has not been set.